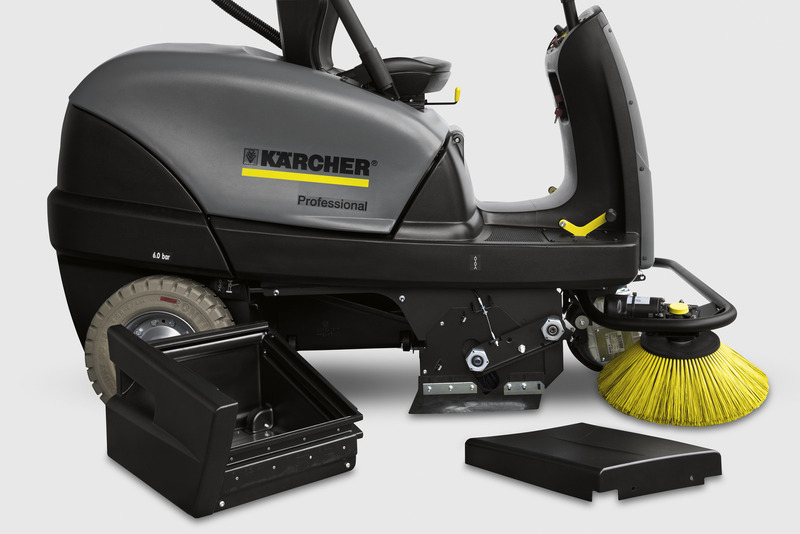 KM 100/100 R D 12801150 https://www.kaercher.com/tn/professional/sweepers-and-vacuum-sweepers/vacuum-sweepers-ride-on/km-100-100-r-d-12801150.html Comfortable, modern ride-on sweeper for professional use indoors and outdoors. Ideal for areas of 8000 to 10400 m²/h. 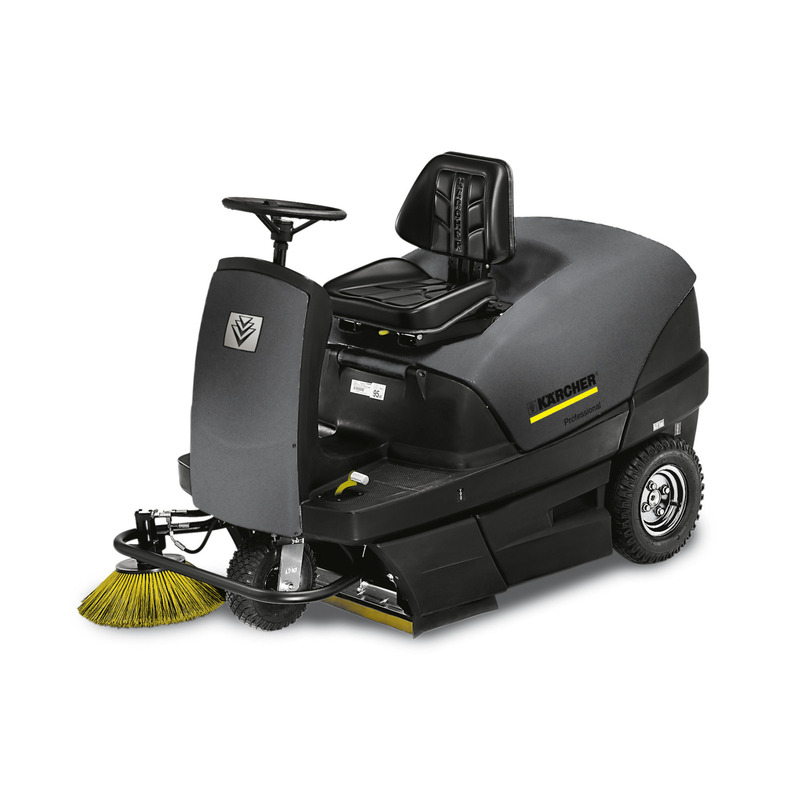 Comfortable, modern ride-on sweeper for professional use indoors and outdoors. Ideal for areas of 8000 to 10400 m²/h. The KM 100/100 R D ride-on sweeper with 4.1 kW Yanmar motor with pneumatics offers a pedal for forward and reverse travel, as well as an automatic vacuum parking brake. The machine has a turning radius of just 3350 mm and uses the overthrow principle. The floating roller brush adjusts automatically to uneven surfaces. The roller brush can be replaced without tools thanks to a clever locking system. The built-in coarse dirt flap is conveniently operated via a foot pedal and enables easy intake of coarse dirt. Side brush and roller brush are hydraulically driven and activated via the EASY Operation System. A second optional side brush (left) is available. Both dirt receptables can be pulled out from the side. The motor switches off automatically when the seat is vacated.